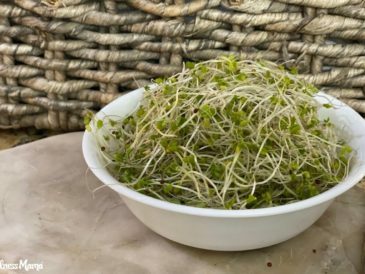 If you’ve ever heard of sulforaphane, you’ve probably heard about broccoli sprouts and why they are one of the healthiest foods on the planet. If you haven’t, let me provide a brief case for why these humble sprouts should be growing in all of our kitchens. should be more popular than the Kardashians, but somehow isn’t … maybe because it is hard to spell? And broccoli sprouts are an incredible rich source of sulforaphane and you can grow them in your kitchen for pennies. In fact, one of the first things my thyroid doctor recommended after my Hashimoto’s diagnosis was consuming raw broccoli sprouts daily for the sulforaphane. 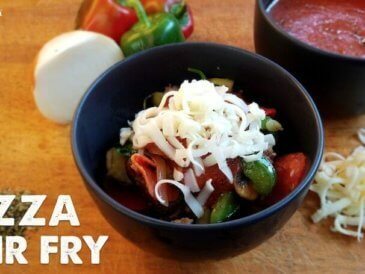 Why Not Just Eat Broccoli? Cruciferous vegetables have many benefits and studies find that eating them a few times a week reduces cancer risk by 30% or more. But when it comes to sulforaphane, full-grown broccoli doesn’t even come close to these power-packed sprouts. In fact, 3-4 day old broccoli sprouts have up to 100x the amount of sulforaphane as mature broccoli. On top of that, cooking destroys sulforaphane so unless you want to chow down on several pounds of raw broccoli a day, you likely won’t get much (if any) sulforaphane. 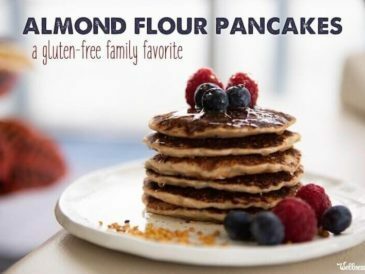 TIP: Cooked broccoli (and other cruciferous vegetables) are still healthy in many ways, and Dr. Rhonda Patrick offers a tip for increasing the sulforaphane content in cooked veggies: sprinkle them with dried mustard seed powder. 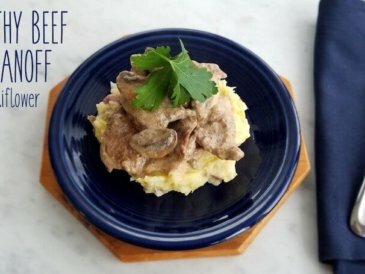 Read this post if you’re interested in why this works, but in short, the mustard seed replaces an enzyme that is needed for sulforaphane production but that is destroyed in cooking. So, now that we’re hopefully big fans of broccoli sprouts and understand why they should be a regular part of a healthy diet, let’s talk about why we should grow them ourselves. Thanks to the work of researchers like Dr. Patrick, news has spread about the benefits of broccoli sprouts. I’ve seen broccoli sprouts in many stores, including all three of our local grocery stores. But these store-bought sprouts are expensive and we can’t really know how fresh they are. Remember that sulforaphane content spikes on day 3-4 after the seed sprouts and store-bought sprouts are likely much older than this. Store-bought sprouts are also really expensive compared to growing your own. In fact, you will spend up to 20x as much! Sprouts from the store can run $1-2 an ounce, but you can grow them at home for $0.10-0.20 an ounce or less (if you buy broccoli seeds in bulk like I do). With very basic equipment, you can grow 15-16 pounds of broccoli sprouts per pound of broccoli seeds. 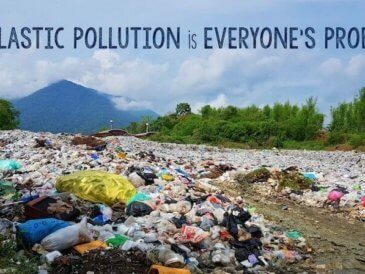 To put this in perspective, a 3 ounce container of sprouts is $6 at my local store. That ends up being about $32 a pound for sprouts. An entire pound of seeds costs less than that (and much less if you buy in bulk). In fact, I buy 5 pounds of broccoli seeds for $40 and grow up to 80 pounds of broccoli seeds for that, making them $0.50 a pound. There are some vegetables that I think are worth buying because they are too time intensive to grow or take up too much room in the garden. 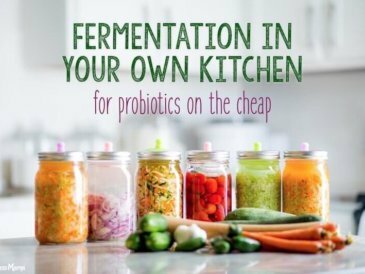 Cabbage, celery, fennel, and some lettuces are all on this list. Broccoli sprouts are not. They are almost foolproof to grow, are ready to eat in just a few days, and are healthier than almost any other vegetable you can grow. Place two tablespoons of broccoli seeds in a wide-mouth mason jar and cover with a few inches of filtered water. 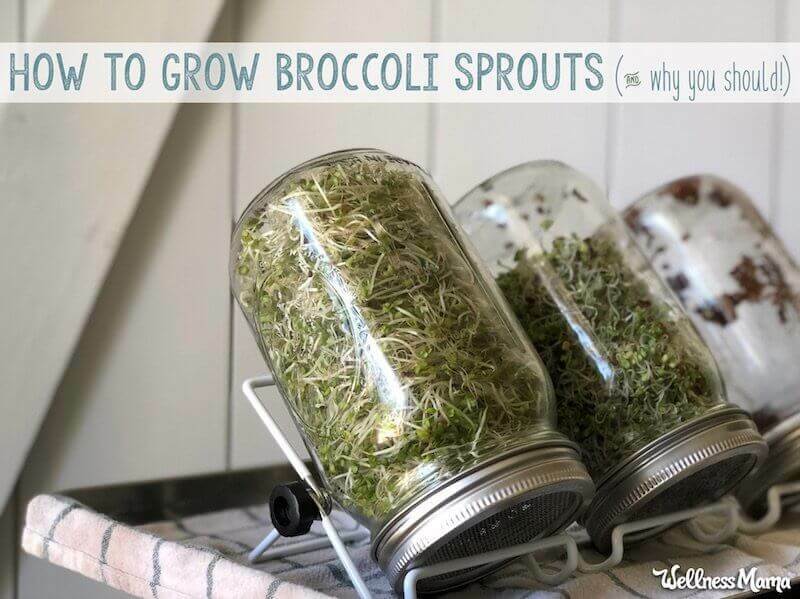 Put on a sprouting lid and place the jar in a slightly warm, dark place for 8-12 hours so they can begin to sprout. I’ve tried various different places and find this works best to place the jar on the counter above my dishwasher right before I go to bed. I cover the jar with a towel and start the dishwasher so a small amount of heat comes through the counter and helps the seeds sprout more quickly. 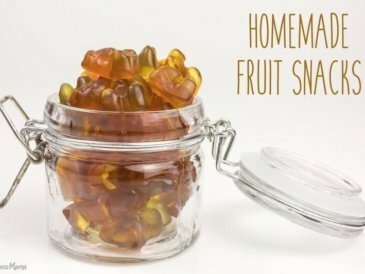 That said it also works to leave the jar anywhere on the counter or place it inside a cabinet. The next morning (or at least 8 hours later), drain off the water and rinse with fresh water. 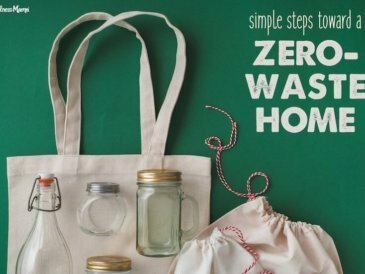 Rest the mason jar upside down at an angle on a sprouting jar holder or inside a bowl so that any remaining water can drain. Continue to keep the jar in a slightly warm but mostly dark place during this time. 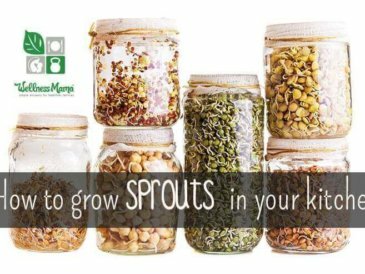 Rinse the sprouts 2-3 times a day and place back on the jar holder or bowl after each rinse. I rinse at meal times so I remember. After a few days, all of the seeds should start to break open and grow. Keep up with the rinsing and keep the seeds in a darkish place until they have sprouts about an inch long. At this point, they can tolerate some indirect sunlight or low light exposure. Eat the seeds once you see some dark green leaves (usually 3-4 days after the seed starts to sprout). This whole process usually takes about a week. I start a new batch every 1-2 days so we have a constant supply. Wait at least 12 hours from the last rinse so all remaining moisture can drain off. 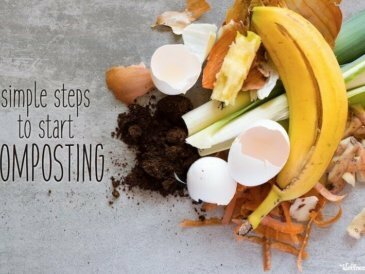 Replace the sprouting lid with a regular mason jar lid or transfer to an airtight container. Place in the refrigerator and store for up to a few weeks (though I recommend using them as quickly as possible). These adorable sprouts are already one of the best sources of sulforaphane. 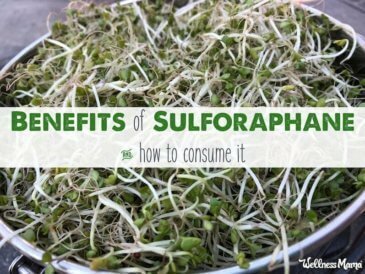 If you want to be an overachiever, there are a couple of ways to increase the sulforaphane content before you eat them. The method I’m about to recommend is counterintuitive … heat them up. I know, I know, I already said not to heat them above 158 degrees. But it turns out that heating them up to just below that actually increases the sulforaphane content. 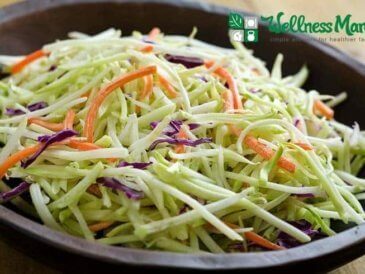 Heating to an exact temperature may also deactivate sulforaphane nitriles, which aren’t as beneficial. 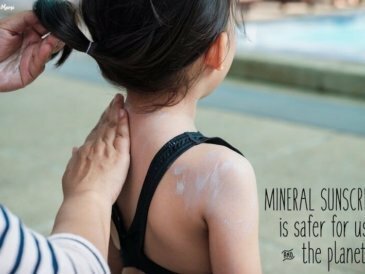 If we hit an exact temperature of around 158 degrees Fahrenheit, it deactivates the sulforaphane nitrile and not the myrosinase needed for optimal sulforaphane. Dr. Rhonda Patrick explains that the sweet spot is heating to exactly 158 degrees Farenheight for 10 minutes. See her process in the video below. At her suggestion, I heat water and use a digital thermometer that beeps when it reaches temperature. As soon as the water hits 158, I pour it into a jar with the sprouts and set a timer for 1o minutes. Then, I let it cool and blend in a blender. Fair warning: a broccoli sprout smoothie is an acquired taste. I do it for the health benefits, but as you’d expect with a sulfur-containing food, it has a strong taste. 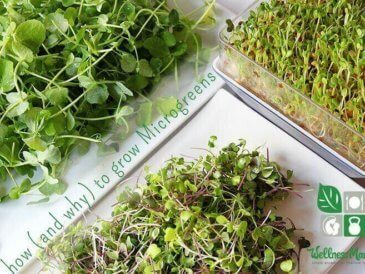 Have you ever grown broccoli sprouts? Will you join the sulforaphane fan club and start now? If you already grow broccoli sprouts, tag me (@wellnessmama) in your photos on social media so I can see!